It was a lazy Saturday night, and no one in the house felt like cooking. Ah! The perfect opportunity for the Pizza Snob to have a local pizza adventure. 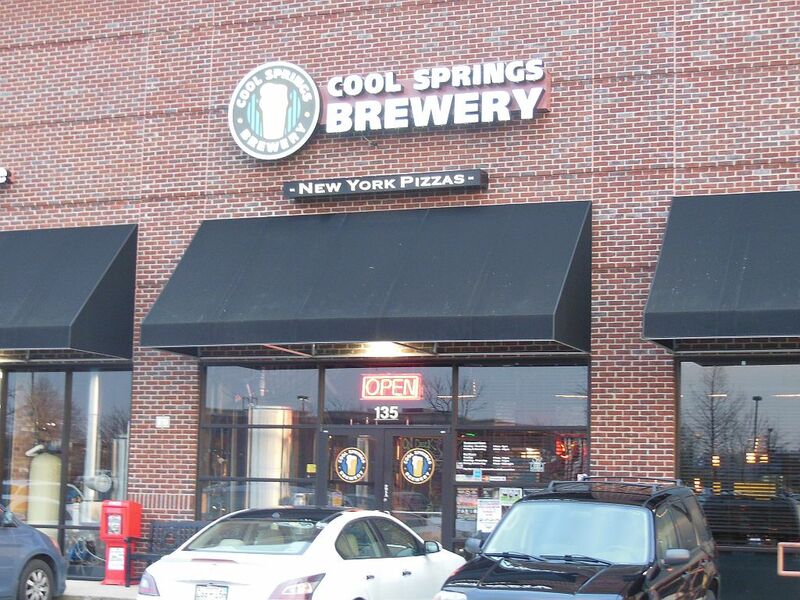 So, The Philosopher and I hopped in the car and journeyed over to Cool Springs Brewery, located in a strip center in the Cool Springs shopping area. Our family had the Sunday lunch buffet there when it was Guido’s. I recall having an unmemorable slice and have since learned to avoid buffet pizza. It simply does not survive, and eating it is not the best way to judge a joint’s best. 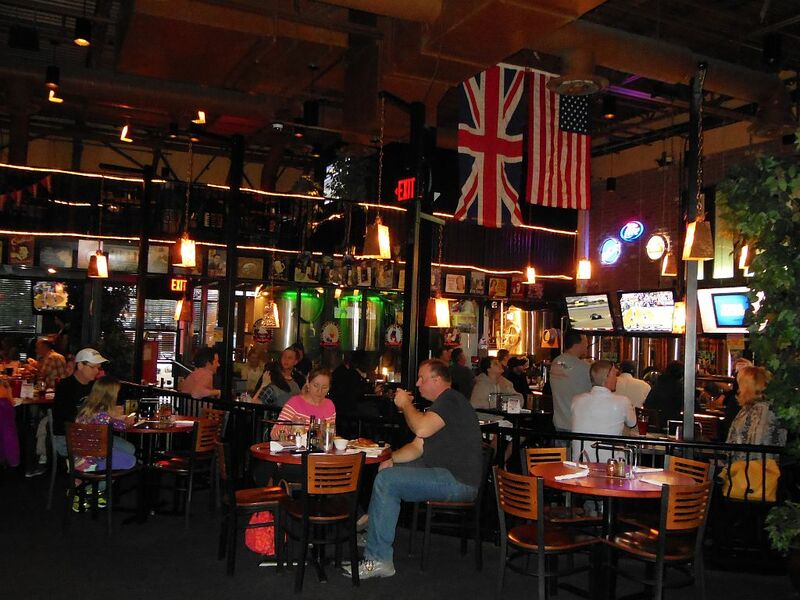 Guido’s originated in the Vanderbilt area of Nashville with a place that featured local live music on the weekends. They later opened the Franklin location; eventually closed the Nashville one; and most recently, reinvented themselves as a Microbrewery serving New York-style pizza among other things. The Philosopher and I took seats at the bar where we ordered our take-out pies. We went for a 16-inch, $12.99, Cheese Classic which their menu boldly describes as “plain and perfect.” While waiting, my son sampled and enjoyed one of their beer creations. Meanwhile, I admired the beautiful room’s display of beer-making equipment and watched the evening’s band set up. I also chatted with the young guy next to me about the virtues of ordering plain pizzas. Sadly, he just didn’t get it. We didn’t have to wait long on that busy night, and I avoided the temptation to open the box to peek until we got home. The pie appeared whiter than it did red, a sign that the amounts of cheese and sauce were out-of-balance. It looked favorably thin and not overly cheesy although the cheese had a slightly waxy look. Being quite hungry, my son and I attacked it hard and fast. 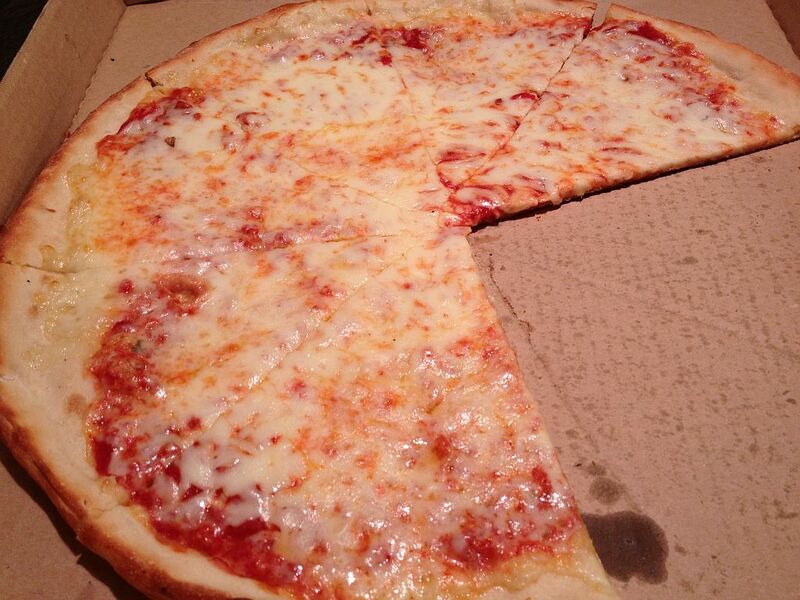 We were disappointed, though, that the mushiness of the crust kept the slices from standing firmly at attention. It is remarkable how some places miss the wonders of what just a few more minutes in the oven could accomplish. The pie, nevertheless, seemed to be made from quality, fresh ingredients. It tasted delicious allowing us to enjoy it despite the limpness. Given a similarly lazy Saturday night in the future, I’d definitely pay a return visit to Cool Springs Brewery. Next time, since I will not be in review mode, I’ll ask for it to be cooked well-done.